Have you ever seen one of those magical store window displays before Christmas, where all the brightly coloured houses look straight out of a fairytale? Cobblestone streets wind this way and that, and rolling hills surround the quaint little village. A gentle dusting of snow clings to the rooftops. Pressing your nose up against the glass, you wish you could step into the enchanting tableau. Just head to Alsace and wander down the streets of any number of the charming towns, like Eguisheim or Riquewihr. You may find yourself half expecting to see Hansel and Gretel pop out of a doorway, fleeing from the witch’s oven. While pretty gingerbread houses might be all the incentive you need to make the trip, there are a number of other attractive features to this historic region of northeast France. The one that interests me most, of course, is the wine. While pretty gingerbread houses might be all the incentive you need to make the trip, there are a number of other attractive features to this historic region of northeast France. Winemaking has a long and storied past in Alsace. Wild grapes have grown in the area since long before man appeared on the scene. Evidence of cultivated vineyards and wine production date back to Roman times. While it may seem surprising that viticulture was established so early in such a northerly location, the region is in fact ideally suited for grape growing. The Vosges mountains to the west act as a protective barrier, sheltering the area from prevailing rain-bearing winds. As a result, Alsace is actually one of the driest, sunniest parts of France. It is the smallest wine region of France, sandwiched between the Vosges and the Rhîne river to the east. The automn season is long and warm. This is perfect for the late ripening grape varieties that are so prized here. The vineyards line the foothills of the Vosges at altitudes of 200 to 400 metres. The best sites are oriented south or southeast maximizing sun exposure. The geology of the region is incredibly diverse, with rock formations spanning all periods from the primary to quaternary era. Soil composition also varies widely. According to experts, areas just 100 metres apart often have significant differences in soil makeup. Granite, chalk, marlstone, sandstone, loam, alluvial and even volcanic soils can be found here. The geology of the region is incredibly diverse, with rock formations spanning all periods from the primary to quaternary era. Soil composition also varies widely. This explains the wealth of grape varieties that grow so well here. While most other northern vineyards focus on just a handful of cool climate grapes, Alsace boasts a great number of single varieties and blended wines. The four most important of which, dubbed the “noble grapes” are: Riesling, Pinot Gris, Gewürztraminer and Muscat. While white wines dominate, some very pleasant Pinot Noir is also made here, in an earthy, spiced, light-bodied style. The appellation system of Alsace is quite straightforward. 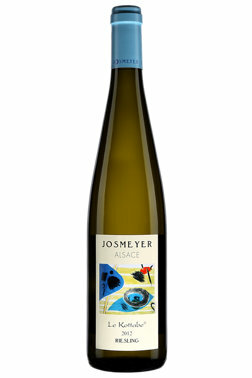 Still and sweet wines are either labelled Alsace AOC or Alsace Grand Cru AOC. There are currently 51 vineyards deemed to have superior terroir, meriting Grand Cru status. Only the noble grapes can be planted in these vineyards. Alsace is also a well regarded producer of sparkling white wine, under the AOC Crémant d’Alsace. These bubblies are generally blends of several different white grape varieties, produced in much the same way as Champagne, though generally with a shorter ageing period. The wines are often quite fruity, medium bodied and rounded. The wines showed incredible complexity, pure fruit flavours, attractive minerality and beautiful depth. While exquisite Vendanges Tardives (late harvest) and Séléction de Grains Nobles (botrytised) dessert wines can be found here, the preconcieved notion that Alsatian wines are all sweet, is in fact wrong! The decision to ferment dry or leave some residual sugar tends to be based on grape, and on the producers individual style. Many winemakers have come up with sweetness scales on their back labels or started stating sec (dry) to indicate drier styles. The majority of the region’s most celebrated grape, Riesling, is made bone dry. I had the great pleasure of attending a Vins d’Alsace tasting a couple of weeks back. The impression that remained after tasting through a wide range of wines, was one of outstanding value. When one ventures above the entry level offerings, into the 20$ to 50$ range, the wines showed incredible complexity, pure fruit flavours, attractive minerality and beautiful depth. The racy acidity of the Rieslings and firm structure guarantees long term ageing potential. While 20$ plus might seem a little pricey for white wine, just consider that for comparable quality you would easily be paying double to triple for Burgundy, Bordeaux or premium New World whites. Here are a few recommendations; wines that impressed me during the tasting. Lively, attractive nose featuring hints of lemon verbena, citrus, green apple and a subtle leesy note. Crisp acidity gives way to sweet honeyed, floral notes on the broad palate. Firm, persistent bubbles abound. Brut dosage. Pale straw in colour. Somewhat restrained, with savoury, earthy notes lending complexity to green apple and lemon scented nose. Racy acidity thrills on the dry, light bodied palate, with bright juicy fruit bringing depth to the mid-palate. 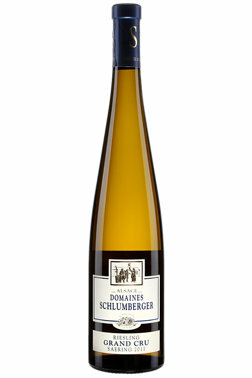 The moderately long finish offers stony minerality and bright, lemon flavours. Pale straw in colour. Elegant aromas of red apple, grapefruit and white flowers, with underlying earthiness and stony minerality. Very clean and precise on the bone dry palate, with a rounded structure and high concentration of citrus and orchard fruits that lingers nicely. A touch of grapefruit zest brings an intriguing hint of bitterness to the finish, adding to its appeal for food pairings. Pale gold in colour. Heady aromas of spice, yellow apples and pronounced minerality on the nose. The palate is rich, broad and rounded, with exceptional depth of vibrant stone fruit flavours. Just a touch of residual sugar brings balance to the fresh, lemony acidity. The finish is long and layered, with ever so slightly warming, 13.5% alcohol. This Grand Cru represents fantastic value! Intense, highly complex aromas of petrol, red apple, stony minerality and ripe apricots. Subtle spiced and floral notes develop upon aeration. Racy acidity is beautifully balanced by the rich, broad texture and bright, juicy fruit. The long finish is dry, with lingering stone fruits and mineral notes. Pale lemon in colour. Fragrant aromas of white pear, melon, lemon curd and subtle floral notes feature on the nose. 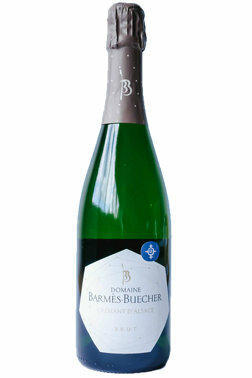 The medium weight palate is very fresh, rounded and easy drinking with bright, orchard fruit flavours. Quite dry, with a moderately long, fruity finish. Pale gold, flecked with green. Somewhat restrained, yet complex smoky, mineral, earthy nose, with underlying green apple and grapefruit notes. 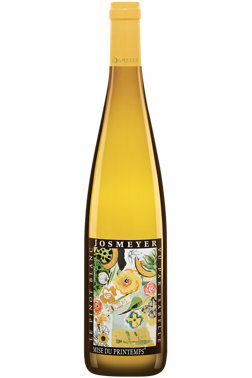 The palate is clean, precise and light bodied with fresh acidity and moderate concentration of citrus and apples. Smoky notes linger on the moderately long finish. Lively ripe pear, yellow apple and baking spice, with subtle smoky minerality. Medium bodied, with zesty acidity and juicy peach flavours. The mouthfeel is rich and smooth, with moderate viscosity. The balance between freshness and sweet finish is perfectly pitched. In these troubling times – with the world in such turmoil – spending all of my time and energy on wine studies seems a superfluous pursuit. Wine is a luxury good, not a necessity. And shouldn’t we be focusing on essential needs in these dark days? The more I think about it, the more I disagree with this sentiment. Ernest Hemingway once said that “wine is one of the most civilized things in the world”. Like art or music, the role of wine (especially fine wine) is to broaden the mind and heighten the senses. Consumed in moderation, wine encourages noble sentiments like compassion and understanding. In ancient Greece, all major political and philosophical exchanges were fuelled by wine. During the great symposiums, where the fundamental topics of the day were debated, the role of wine was to get conversations flowing. “In vino veritas” was the sentiment of the time. And in today’s world, where racism, hatred and populist regimes are threatening to overtake us, it appears we need this social lubricant more than ever. We need to be reminded that we are capable of creating and sharing beauty. At a simpler, and perhaps more fundamental level, we need the sheer pleasure wine brings. When I think back on my life, every celebration, every moment of happiness, and even the times of great sadness were accompanied by wine. At Christmas dinner, a hearty cheers with vintage Port. On my wedding day, a Champagne toast. When my father passed away, a raised glass of grand cru white Burgundy. So if the world goes to hell in a hand basket, you will find me in the cellar with as large a crowd as a can gather, polishing off the Pauillac.